CAPTION THIS: Were you 'sick' for Opening Day? Opening Day isn't a holiday, but it really should be. WCPO.com Cartoonist Kevin Necessary needs your help. What excuse is this worker using for getting out of work? 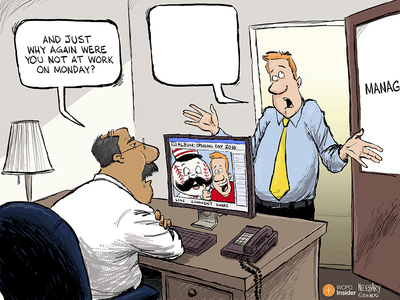 Caption this cartoon and you could win tickets to Riverbend Music Center. You can connect with Kevin Necessary on Twitter and view his work here . Here's a look at Necessary's website. Share this cartoon on Facebook and Twitter!